Many of our listed items are priced well below the recommended retail price. We are genuine and honest. A small team, our philospophy is to go out of our way to provide great service. If you have any concerns during the order process, just call us - nothing is too difficult. You'll get quality, safe products. All our products are sourced from New Zealand which has an international reputation for the quality of it's natural health products. We use the latest technologies to keep your personal information and credit card details secure. We promise never to send you spam emails or share your email address with any other parties. All orders are sent to you in discreet, secure packaging. Aliveplus Natural Health is an online business located in Hamilton, New Zealand. 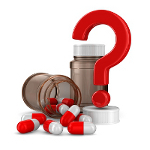 Got a Question about a product or a health condition? Submit your question via our contact form or call us on 1-800-578-9811 and leave a message. One of the team will provide the answers you need as soon as possible.